We are excited to share our support and admiration of JJ’s wonderful laser cut designs. 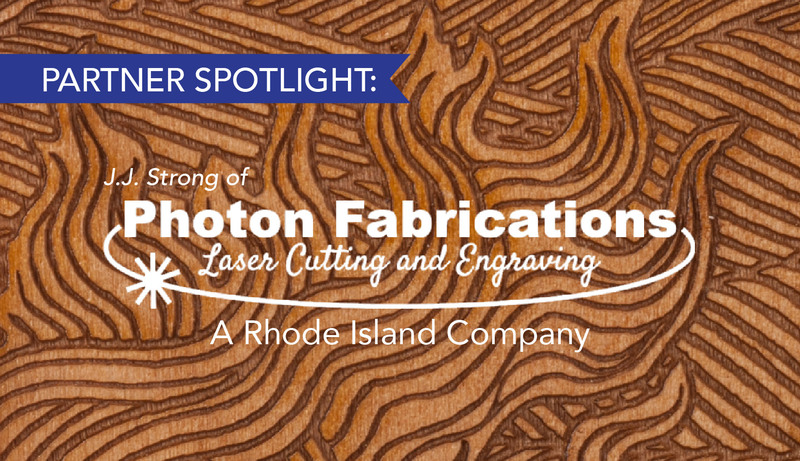 Today, JJ is creating laser cut designs for every occasion available on his website and at local art fairs in Rhode Island. A piece usually begins life as a model in Solid Works, a 3D engineering program, where the basic form is created. The model is then translated into a 2D art program, Corel Draw, Adobe Illustrator, or both where I add all of the detail that the laser will engrave. This software allows for a huge range of detail to be added and manipulated. Finally to take the art from a digital image to a physical object a Versa Laser CNC machine, which cuts out the components to make the final pieces, which are then assembled into the finished product. Next post: Intern Product Picks!